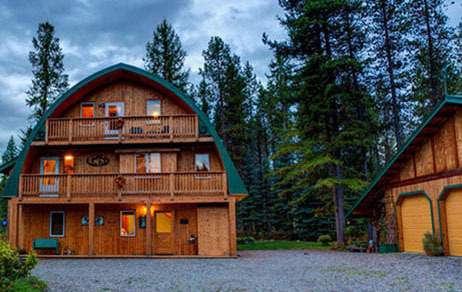 an award-winning bed and breakfast located seven miles from Glacier National Park in Montana. This Bed and Breakfast was literally a Mountain Oasis! 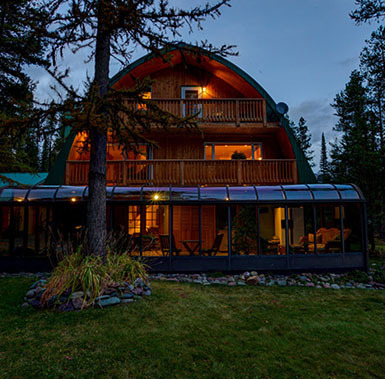 It's in the perfect location to enjoy Glacier National Park or a day of R&R. 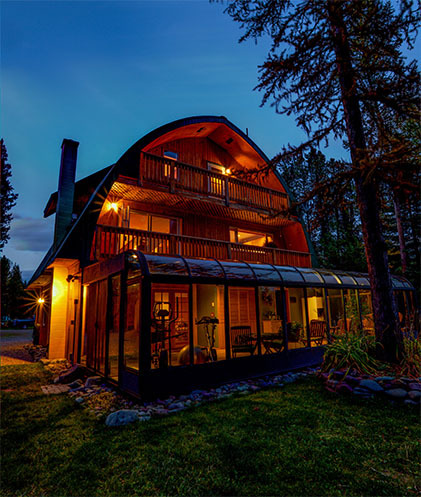 A stunning three-story cedar chalet style home resting on six forested acres of Flathead National Forest. 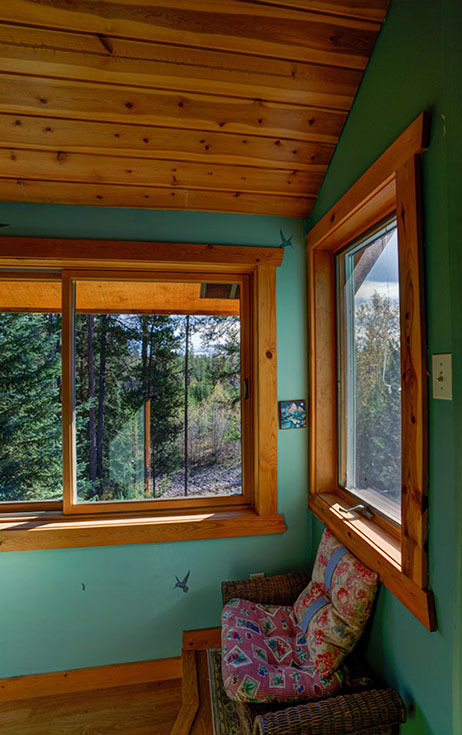 THE INN is an award-winning eco-smart bed and breakfast located on the western border of Glacier National Park, Montana, seven miles from the park entrance at West Glacier and a half mile from the North Fork of the National Wild and Scenic Flathead River. 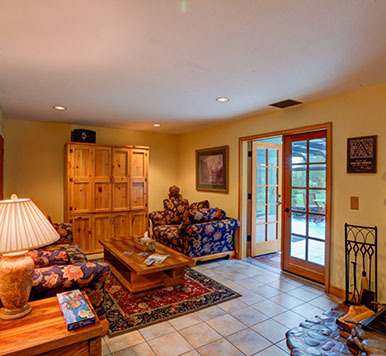 This stunning property is nestled among a picturesque setting of evergreens, perennials, and wildlife.With up-to-date amenities, and personal attention to detail at bed and breakfast we strive to ensure your stay with us is distinctive. Come, unwind, slowdown and experience Glacier National Park, the crown of the Continent and surrounding areas! Come enjoy hiking, boating, biking, and camping from your "Home Base." 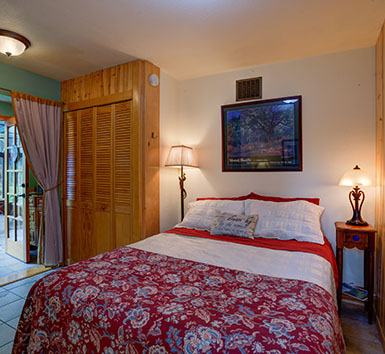 As a year round vacation destination, Moss Mountain has so much to offer. Just because we're out in nature doesn't mean we're uncivilized. From the farm-to-table a fresh start to your day. Protect your Motorcycles and Bikes. Take care of that unfinished work during your relaxing stay. 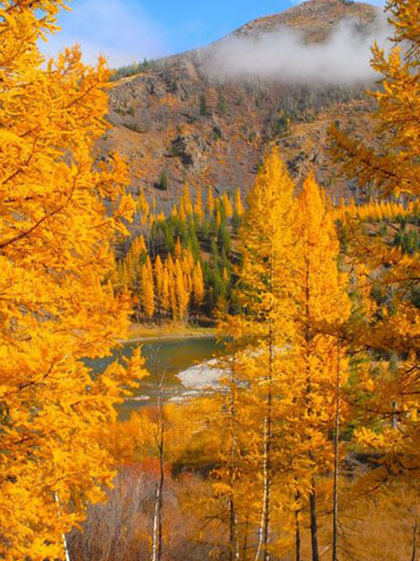 Plan today for your Montana Vacation!